The Iberostar Rose Hall Suites offers a family-friendly atmosphere and great room rates, plus free access to all of the luxurious amenities of the Iberostar Rose Hall resort complex. 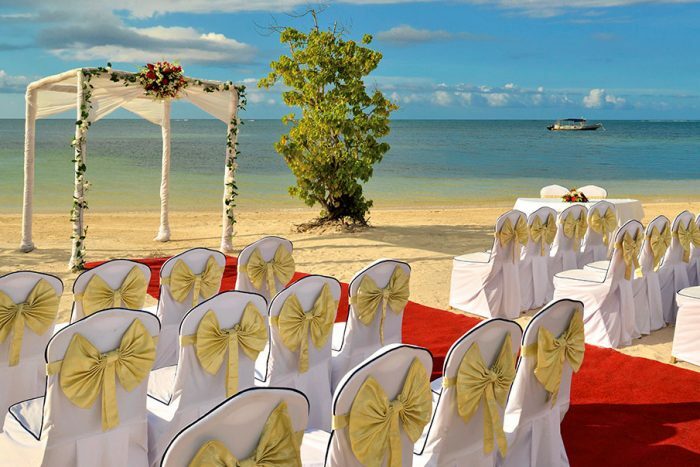 Your wedding ceremony could use the gorgeous ceremony venues on offer, from a rooftop terrace to the signature beachfront. When guests aren’t celebrating your wedding they’ll love the delicious restaurants available, and the spaciously appointed suites perfect for the entire family. 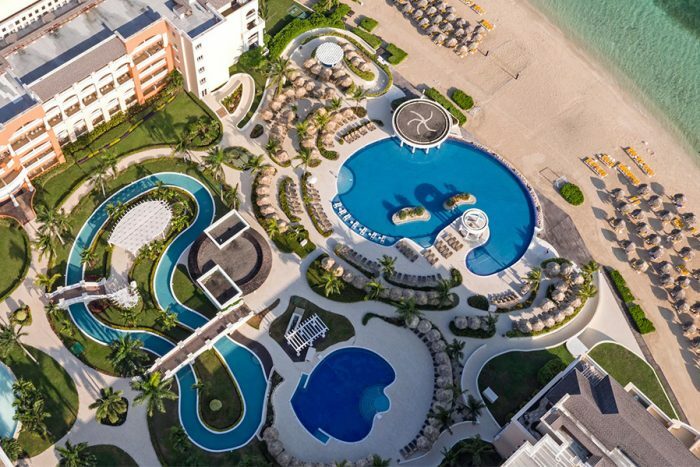 This resort has budget-friendly rates, while also offering complete access to the pool, beach, dining, and bars at neighboring Iberostar Rose Hall Beach. This resort is truly family-friendly, with a waterpark, lazy river, and awesome kids’ club younger guests will enjoy. For a unique bachelor activity, have the boys book a golf outing at Iberostar’s deluxe golf course, located on the property. Beachfront – 120 guests max, Bob Marley Terrace – 120 guests max, Calypso Terrace – 80 guests max, Pier – 12 guests max. The resort will host no more than 2 weddings per day, Monday thru Sunday. Ceremonies can be held anytime between 3pm – 5:30pm depending on the season. The wedding coordinators typically respond within 1 full business week. During the resort’s busy season, they may take longer. Rooms range from $120 – $190 per person per night. Every room includes wifi, a minibar, and complimentary access to the spa’s wet areas. The superior room categories include a sauna as well. Children ages 2 and younger stay free. There are 366 total guest rooms with views of the garden, pool, or ocean. Handicap accessible rooms are available upon request. High-season months typically include January, February, March, April, May, June, and July. It is always encouraged to have your guests book their stay 6 – 8 months in advance, as the resort can sell out during these months. Iberostar Rose Hall Beach is located about 11 miles from the MBJ airport. 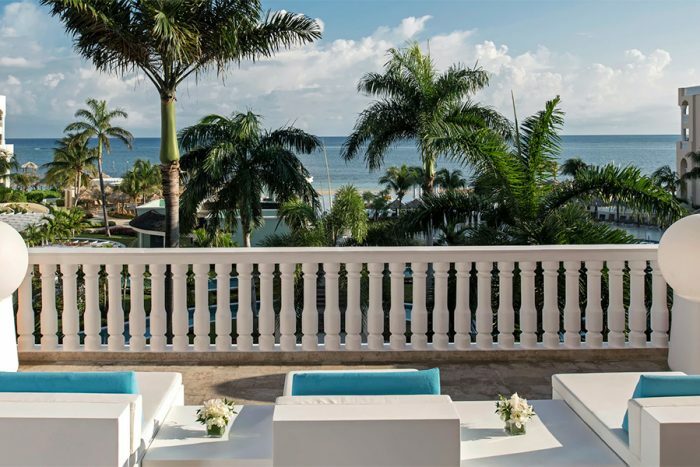 The resort is about 30 minutes outside of downtown Montego Bay. There are 319 rooms with garden or ocean views. The resort is more appropriate for active guests, as the resort shares exchange privileges and shuttle service across the large multi-resort complex. The resort shares exchange privileges with neighboring Iberostar Rose Hall Beach. All rooms allow up to 2 adults and 2 children max, or 3 adults max per entry-level room. Children agebreak is 12 and younger. The resort will host no more than 2 weddings per day, Monday thru Sunday. Ceremonies can be held anytime between 3pm – 5:30pm depending on the season. Special requests can be made based upon availability. 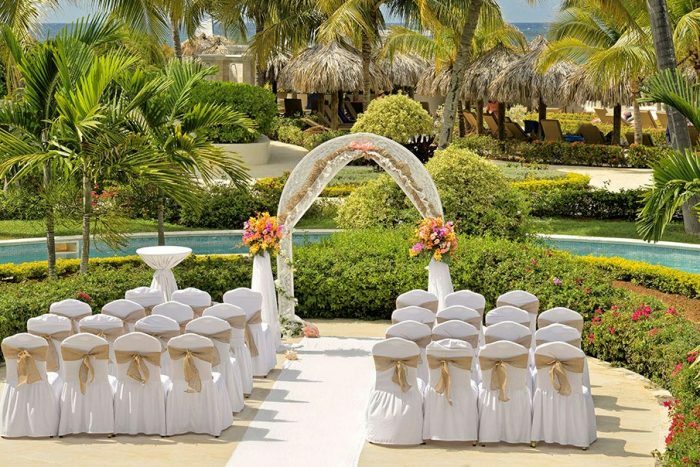 Iberostar Rose Hall wedding department typically responds within 48 hours. Iberostar Rose Hall Suites is located 11 miles from the MBJ airport. The resort is about 30 minutes outside of downtown Montego Bay. 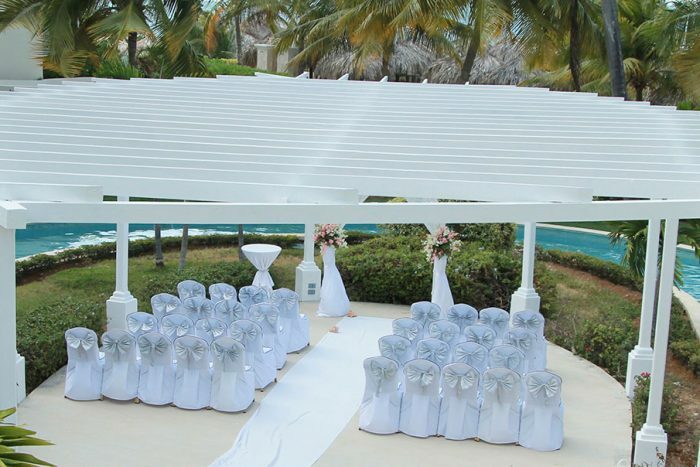 Q: What do brides usually compliment about Iberostar Rose Hall? A: The beautiful ocean and garden views of the different locations available, as well as staff’s warm service. 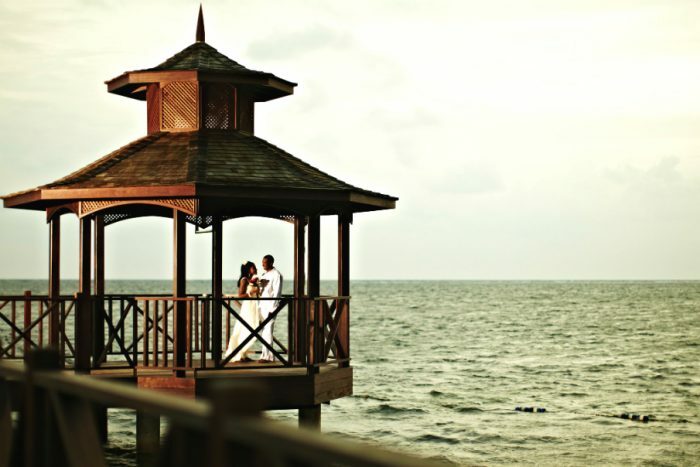 Q: What makes Iberostar Rose Hall a great place for a destination wedding? A: Being a family-friendly property it offers the flexibility of affordable rooms for any budget and great locations for a big family wedding. 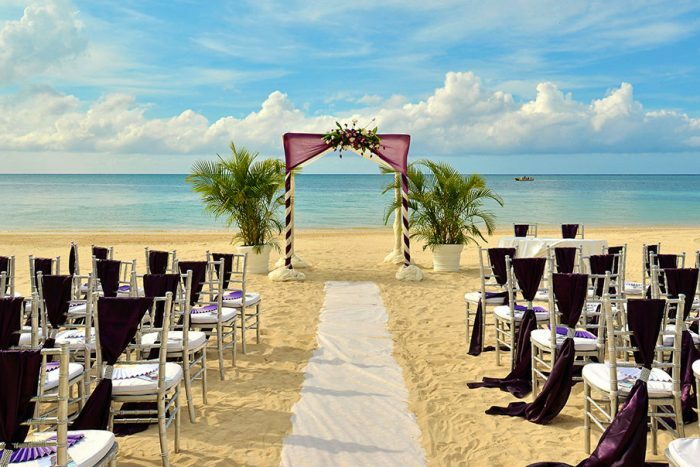 Q: What are the challenges brides face when planning their destination wedding at Iberostar Rose Hall? A: Most brides find hard the long distance planning hard at first and are a little bit worried before arrival about what it will happen. But all these worries usually go away once they arrive to this beautiful destination, meet with the coordinators, see the locations and start experiencing the hotel. They usually say it ended up to be less stressful than getting married back home.